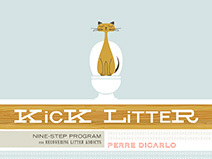 Miss Litter: Nine-Step Poster Hidden In Dust Jacket! I can't wait to put the poster up in "our" bathroom! 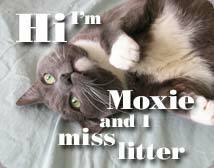 I hope I have a smart cat and it doesn't take more than two weeks. Do I have the patience? But wait, I have two cats. Should I be trying this at home?